Words seem to mean different things in the Middle East. “Training” is a new term for escalation, and “Iraq” seems more and more like the Arabic word for Vietnam. But the terms “slippery slope” and “quagmire” still mean what they have always meant. In 2011, making good on a campaign promise that helped land him in the White House, President Barack Obama closed out America’s eight-year war in Iraq. Disengaged, redeployed, packed up, departed. Then America went back. In August 2014, Obama turned an emotional appeal to save the Yazidi people from Islamic State into a bombing campaign. A massive tap was turned and arms flowed into the region. The number of American soldiers in Iraq zoomed up to 3,100, quietly joined by some 6,300 civilian contractors. The reputed mission was training – or whipping the Iraqi Army into shape. After another inglorious retreat of the Iraqi Army, this time in Ramadi, the Obama administration last week announced a change: America will send 450 more troops to establish a new base at al Taqaddum, Anbar Province. It is clear the United States no longer believes the Iraqi Army exists. What is left of it is largely a politically correct distribution tool for American weapons, and a fiction for the media. America will instead work directly with three sectarian militias in their separate de facto states (current bases in America’s Iraqi archipelago include one in Sunni Anbar, another in Kurdish territory and three in Shi’ite-controlled areas). The hope is that the militias will divert their attention from one another long enough to focus on Islamic State. It is, of course, impossible; everyone in Iraq — except the Americans — knows Islamic State is a symptom of a broader civil war, not a stand-alone threat to anyone’s homeland. It is also significant that the United States will circumvent Baghdad’s objections to arming and training Sunni tribes. Baghdad has not sent any new recruits to the U.S. training facility at Ain al-Asad, in Sunni territory, for about six weeks; the United States will instead engage directly with Sunni recruits at Taqaddum. Obama’s new plan will also bring U.S. arms for the Sunnis straight into the new base, bypassing Baghdad’s control. This is likely only the beginning of Obama’s surge. General Martin Dempsey, chair of the Joint Chiefs of Staff, outlined the establishment of what he called “lily pads” — American base-lets scattered around the country. Of course, like Taqaddum, these lily pads will require hundreds more American military advisers to serve as flies, at risk of being snapped up by an Islamic State frog. Any attack on U.S. troops would require a response, a cycle that could draw the U.S. deeper into open conflict. The new strategy also revises the role of American troops in Iraq. “Advise and assist” is the new “training.” While careful to say Americans would not engage in combat per se, signals suggest advice and assistance will be dispensed quite close to the front. In sum: More troops, more bases, more forward-leaning roles, all operating at times against the will of a host government the United States appears to have lost patience with. The bright light of victory is years down a long tunnel. We’ve seen this before. It was Vietnam. Some details are different. The jumps from air power to trainers to advisors to combat troops took years in the Vietnam War. Obama has reached the advisor stage in just months. The Iranians fighting in Iraq do share a short-term goal with the United States in pushing back Islamic State, but like the Russians and Chinese in Vietnam, ultimately have an agenda in conflict with American policy. Meanwhile, similarities scream. As in Vietnam, a series of U.S.-midwifed governments in Baghdad have failed to follow Washington’s orders; they have proceeded independently amid incompetence and corruption. 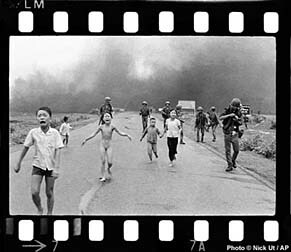 Both wars are characterized as good versus evil (baby killers in Vietnam, jihadis chopping off heads with swords in Iraq); both were sold under questionable pretenses (humanitarian intervention in Iraq, reaction to an alleged but doubtful attack on U.S. Navy ships in the Gulf of Tonkin in 1964) and as part of a great global struggle (against communism, against Islamic extremism). Despite the stakes claimed, few allies, if any, join in. In each war, the titular national army — trained, advised and retrained at great cost — would not fight for its country. The host country is charged with ultimate responsibility for resolving its (American-created) problems, even as America assumes a greater role. One difference between Iraq and Vietnam, however, is sharp as a razor. The United States eventually left Vietnam. Disengaged, redeployed, packed up, departed. But unlike in Iraq, the United States was not foolish enough to go back. Obama’s psychopathology: In San Francisco he reaffirms his fight for gun control here in the homeland yet continues to ship weapons so people can kill one another in foreign lands. Those weapons sales to folks abroad are to keep Americans safe. Why won’t psychiatrists call Obama out for deranged thinking? Probably the same reason why MSM ignores the obvious. The Emperor has no clothes and has been stark naked for some time. Truth telling little boys have long been banned from emperor Obama’s parade route. We’re going need a bigger National Mall for all the memorials. I think Roy Scheider said something similar in JAWS. But only the criminally clueless serve empire in uniform today. Strategic padlets in a TaqadDum War, Of COURSE! TOJObama’s a $erial Lying DEM RENEGER!! Fast FORWARD: retreating to the front, like Mayaguez Jerry; BlojObama’s got MorOn appointed precedent Furd!!! Can US haz Congress cut him off at The BILL$; BEFORE more American dupes are $acrificed than Iraqi “troops” ‘saved’?